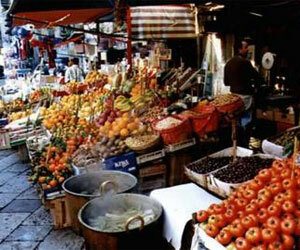 Discover the famous open market of Ballarò, the most “Arabic” food market still existing in the city. Enjoy the experience of the typical narrow streets and stands, full of fresh fruits, fish and vegetables. Stop in one of the oldest “Focaccerias“ for lunch and try some traditional Sicilian food, such as “panelle” or “arancine”.